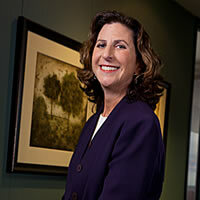 For nearly three decades, Bonnie Goldsmith has consulted on numerous litigation issues. During this time, she’s provided expert testimony on accounting, financial, and economic matters in federal and state courts and arbitrations. While the issues have varied with each case, her work has typically involved the calculation of damages, business valuations, or issues related to alter ego claims. Ms. Goldsmith also has significant experience in assessing underlying accounting and financial data for the purpose of evaluating liability or causation. She’s been involved in a variety of complex litigation issues concerning matters such as breach of contract, theft of trade secrets, copyright infringement, patent infringement, breach of fiduciary duty, alter ego, construction claims, lender liability, and accounting malpractice. Ms. Goldsmith has advised clients in an array of industries, such as high technology, telecommunications, internet, securities, software, real estate, banking, and construction. Ms. Goldsmith is a Certified Public Accountant and is Certified in Financial Forensics. Her previous experience includes working for an international accounting firm.